When it comes to fighting hunger, not all foods are created equal. These healthy picks keep you satisfied for hours and if you’re trying to drop pounds, they’ll curb the junk food cravings that can sabotage weight-loss goals. Beans: They’ve got a winning combo of two proven hunger fighters, protein and fiber (about 7 grams of each per half cup). 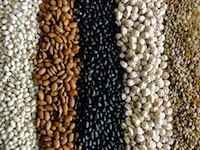 Beans are also a rich source of a type of fiber called ‘resistant starch’. In a study from the University of Minnesota, a snack made with resistant starch kept people fuller in the next two to three hours than a snack made with other fibers such as barley and oat. Researchers speculate that resistant starch may stimulate feel-full hormones in the gut or slow the rate that food leaves your stomach. How to Add Them to Your Diet: Top salads with one-quarter cup beans, dip veggies in store bought humus and sub in beans for some of the ground meat or chicken in burritos and tacos. Fish: It might seem like the lightest pick, but fish is more filling main course than beef or chicken. In a study published in the European Journal of Clinical Nutrition, people who had fish for lunch ate 300 fewer calories at dinner and reported feeling just as satisfied than they did when they had beef. Another study from Deakin University in Australia, found that people rated fish as more filling than either beef or chicken. Researchers theorize that fish is so satisfying because it takes longer to digest than chicken and beef and it may raise levels of the neurotransmitter serotonin, a natural appetite suppressant. 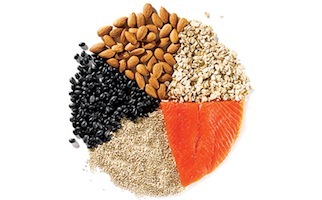 How to Add It to Your Diet: To save on calories, choose grilled, poached, or broiled fish instead of fried. Cod was used in the study, but fattier fish like salmon and tuna offer bonus heart-healthy omega-3 fats. 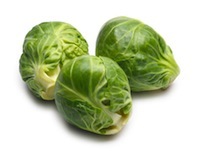 Brussels Sprouts: You probably loathed them when you were a kid, but these days Brussels sprouts are a trendy, tasty side dish, thanks to new prep ideas that go beyond ‘boil until mushy.’ One cup of cooked sprouts contains about 4 grams each of hunger-squashing fiber and protein for just 56 calories. How to Add Them to Your Diet: Trade regular salad greens for shredded sprouts tossed with your favorite dressing (thinly slice them yourself or pick-up a package of pre-shredded sprouts in the produce section). Raspberries: All fruit kills hunger because of it’s high water content, which activates stretch receptors in your stomach that send an ‘all full’ signal to your brain. It’s also loaded with fiber, which soaks up water and swells as it moves through your digestive system, making you feel satisfied. Raspberries are the reigning fiber champs at a whopping 8 grams per cup. Add them to your morning bowl of oatmeal and you’ll score about a third of your fiber for the day before lunch time. How to Add Them to Your Diet: Eat fruit whole instead of juicing it, which removes fiber. If fresh berries aren’t available, pick up a bag of frozen ones (just make sure they don’t contain adds sugar). You can actually eat them right out of the bag, they’re like little bites of sorbet! Popcorn: Popcorn is a surprisingly good source of whole grains, with only 30 calories per air-popped cup. In a study published in Nutrition Journal, people who ate six cups of popcorn reported feeling more satisfied than those who snacked on a cup of potato chips. They also consumed fewer calories when served a meal afterwards. That’s because popcorn is big on volume, which your brain registers as being more filling. 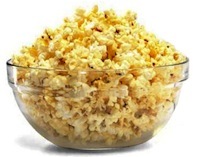 How to Add It to Your Diet: Skip oil and butter and sprinkle your popcorn with nutritional yeast instead. At just 20 calories a tablespoon, it’s loaded with B vitamins and adds a great cheesy flavor. Avocado: If snacking is your weakness, eating avocado might help you curb the habit. 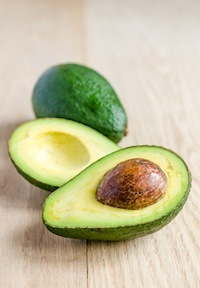 Adding half an avocado to a mid-day meal reduced overweight people’s desire to eat by 40 percent after three hours and by 28 percent after five hours, according to research at Loma Linda University. Although half of an avocado adds about 110 calories to your lunch, you’ll ultimately save many more if you’re able to resist higher-calorie afternoon snacks. How to Add Them to Your Diet: Add avocado slices to your sandwich instead of mayo or toss them into a salad. Love guacamole? Make a quickie version by mashing half an avocado with a squeeze of lime and sprinkle garlic powder. Serve with veggies for dipping. 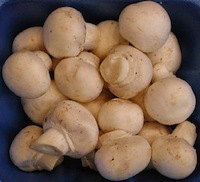 Mushrooms: A study published in the journal Appetite showed that people who ate ground white button mushrooms instead of meat at lunch (in dishes such as lasagna and sloppy joes) consumed 420 calories less than those who ate the same lunch made with meat and they reported that their meal was just as tasty. The key: Ground mushrooms take up the same volume as the ground meat but are much lower in ‘energy density’, that’s the amount of calories a food has per weight. Mushrooms have only 21 calories per cup compared to more than 250 for lean ground beef. How to Add Them to Your Diet: Mushrooms can easily pinch-hit for ground beef. Finely chop them and use in recipes for lasagna, chili, and burritos. Peas: They maybe small but they’re mighty when it comes to nixing hunger pangs. That’s because peas are loaded with protein, about 8 grams per serving. (Split peas contain twice as much)! A study conducted at the Nestle Research Center found that pea protein decreases your appetite even better than protein from eggs. How to Add Them to Your Diet: Researchers discovered that pea protein had the biggest impact on hunger when eaten 30 minutes before a meal. That’s enough time to activate the hormones that tell your brain you’re getting full. Eat a green salad sprinkled with peas or sip a small cup of split pea soup a half hour before dinner to get the effect. Walnuts: You’ll curb your appetite for lunch if you add walnuts to your breakfast, according to research published in the journal Obesity. People who ate an AM meal that included about 1.7 ounces of walnuts (that’s roughly 21 walnut halves) reported being less hungry at lunch time than those who didn’t have walnuts. Walnuts are so filling, in fact, that even though, they’re high in calories, people who add them to their diet don’t end up gaining weight, according to research published in the British Journal of Nutrition. Hot to Add Them to Your Diet: Because they’re high cal, measure or count out your portion is key. Walnuts make a greet snack and you can even blend them into a smoothie, they add a thickness and richness that gives the typical smoothie a lot more staying power. Potatoes: Once ever dieter’s sworn enemy, spuds are actually a secret weight-loss weapon. When researchers from the University of Sydney, in Australia, ranked 38 different foods, from apples to ice cream, based on their satiety, the humble boiled russet potato came out on top. That may be because potatoes are rich in fiber and resistant starch. How to Add Them to Your Diet: The potatoes in the study were peeled, but you’ll get even more filling fiber by leaving the skin intact. Just be warned: All bets are off when you start frying them. French fries were rated less than half as filling as regular potatoes. Great ideas here! You are what you eat, which is why it’s important to eat healthy. And these example foods look delicious!